Alexander has also been convicted of theft, making a false report and evading arrest. DALLAS — Dallas police are investigating a domestic violence allegation against activist Dominique Alexander who leads the Next Generation Action Network. WFAA first reported the incident Wednesday morning after multiple sources confirmed his girlfriend showed up at the Northwest Patrol Division with injuries and filed a complaint. Activist Jeff Hood told WFAA he met Alexander’s girlfriend at the hospital and then drove with her to the police department to make the report. "She’s hurt, she’s scared, she’s in a lot of pain," Hood said. "In this situation it was very clear that something had happened." The Dallas Police Department on Wednesday confirmed it received a report of family violence. Alexander did not respond to request for comment, but instead took to Facebook Live where in a 17-minute video, he described the situation as "an exploitation of my privacy and my family." 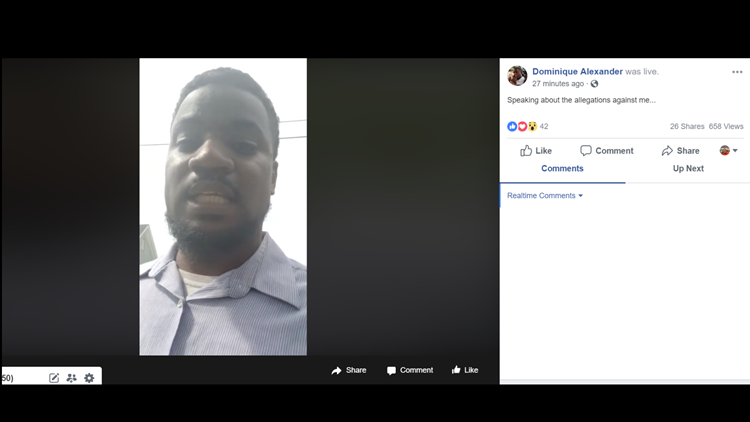 Activist Dominique Alexander took to Facebook Live to address domestic violence allegations against him on Wednesday April 17, 2019. "I can not speak on the allegations that yet is against me, however because I am unaware of the allegations and alleged allegations regarding me,” Alexander said. He then deleted the video. 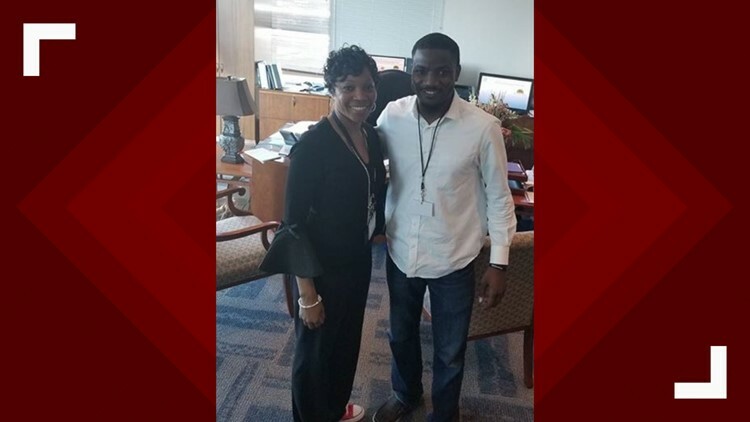 Alexander has routinely met with Dallas City leaders, including City Manager T.C Broadnax, who put him on a committee that gave him advice on hiring Chief Renee Hall. Hall has also met with Alexander on a regular basis and sought his advice changes to the Citizens Police Review Board. The Dallas City Council is expected to vote on the newly branded Community Police Oversight Board on April 24. Alexander was convicted of shaking a 2-year-old baby in 2011. He was sentenced to five years but released on probation shortly after his sentencing. Alexander has also been convicted of theft, making a false report and evading arrest. He's also currently under indictment in Denton County for felony theft. Alexander is most well known as being part of a large group that helped organize a protest in downtown Dallas – after the death of Alton Sterling in Baton Rouge and Philando Castile in Minnesota by police in the summer of 2016. Five Dallas officers were killed at the end of the protest on July 7 by a gunman unrelated to the protest. Since then, Alexander has remained active protesting high-profile by police shootings, including against former DPD officer Amber Guyger in September 2018. Hood says the movement against police brutality is bigger than one person - and said Alexander, who he still counts as a friend, seeks help. "He obviously has anger issues that he needs to get help with," Hood said.